Stand up paddlers enjoy the Lake Tahoe Water Trail along the East Shore near Cave Rock. Photo: Corey Rich / Aurora Photos. 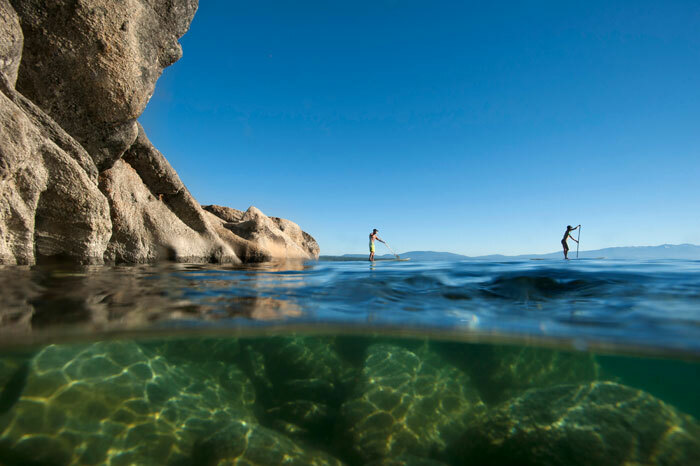 Stand up paddleboarding is one of the fastest growing watersports, and with its clear water and dramatic shoreline, Lake Tahoe is one of the premier paddling destinations. 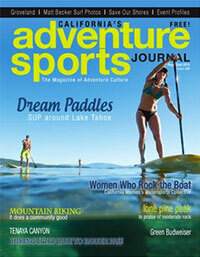 If you’re a SUP enthusiast, why not circumnavigate the lake this summer? It’s just 72 miles around the lake, so you can do it in stages over a few days with a willing driver to help. Even if you don’t have time to go all the way around the lake, any of these suggested routes will make for a great day on the water. Keep in mind that although the weather in Tahoe is generally nice in the summer, the wind usually kicks up by 11am so it’s best if you can get on the lake before 8am. You’ll also avoid most of the boat traffic if you go in the morning. Plan to do the busier sections of the lake on weekdays to miss the weekend traffic. 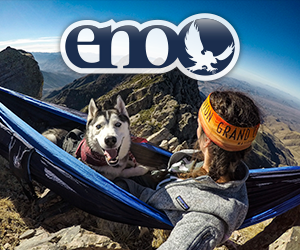 At an altitude of 6,000 feet, applying sunscreen and staying hydrated is critical. Be sure to bring lots of water with you and snacks too. I always bring a phone in waterproof case, just in case. Some of the stretches can be lonely on a weekday morning but you can usually get cell reception. 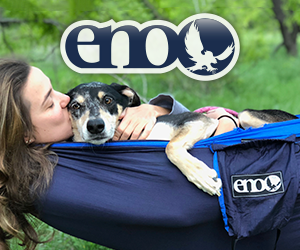 A PFD is required by law, and a leash is a good idea too. Follow these paddles to circumnavigate the lake (distances are approximate), or check out LakeTahoeWaterTrail.org for their suggested paddles. Sand Harbor. Photo: Laura Norman. It’s easy to start from the boat launch at Sand Harbor but be sure to get an early start because the parking lot fills early and there can be a lot of boat traffic. Head right out of the bay toward Incline Village. 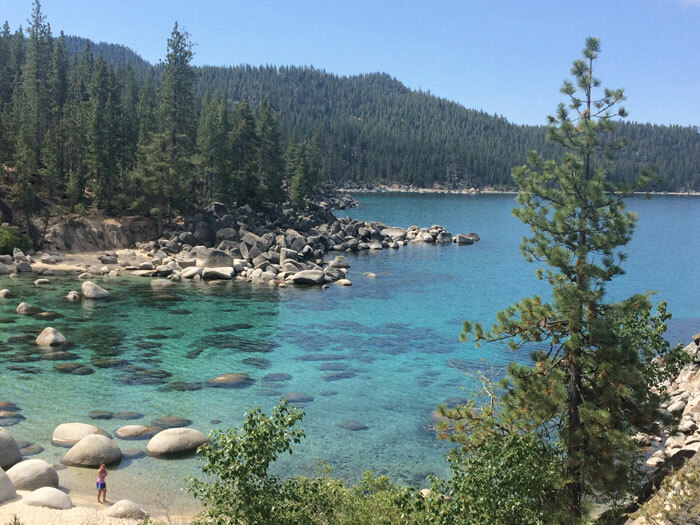 You’ll pass the turquoise water of Secret Beach and then along the sandy beaches of Incline Village and Crystal Bay. The shoreline is steep as you wind along the far side of the bay. As you turn the point (where the water is often choppy) you’ll approach the rocks and cove of Speedboat Beach (located at the end of Speedboat Drive, the last road in north shore California before the Nevada border). Be prepared for a long walk from the water with your board. Speedboat Beach. Photo: Laura Norman. Although Speedboat Beach is a small beach with no parking, it still manages to fill up even on the weekdays. It’s a long walk to the water with your board, so it’s best to start very early. Make a right out of the beach by the dramatic piles of rocks into Agate Bay and paddle past Kings Beach, where you’ll see lots of swimmers and first time paddlers. Continue on past Tahoe Vista and Moon Dunes Beach around the point until you find yourself in Carnelian Bay. In the middle of Carnelian Bay you’ll find Waterman’s Landing, a paddleboard shop and cafe with easy parking, and a great place to finish for the day. Waterman’s Landing. Photo: Laura Norman. Head to the right as you leave the beach from Waterman’s Landing and pass west shore homes and boats and the Chinquapin development until you round Dollar Point. Pass more beaches including the Dollar Point Association and the small pier at Skylandia Beach, as well as the very shallow rocky area around Lakeshore Beach. After another mile of housing developments, you’ll enter the more developed area of Tahoe City and see the Tahoe City Marina. Continue past the marina to stop at Commons Beach. Hurricane Bay. Photo: Laura Norman. Commons Beach is typically a great place to launch from, although low water levels can be challenging and you might prefer a dock start at the marina. 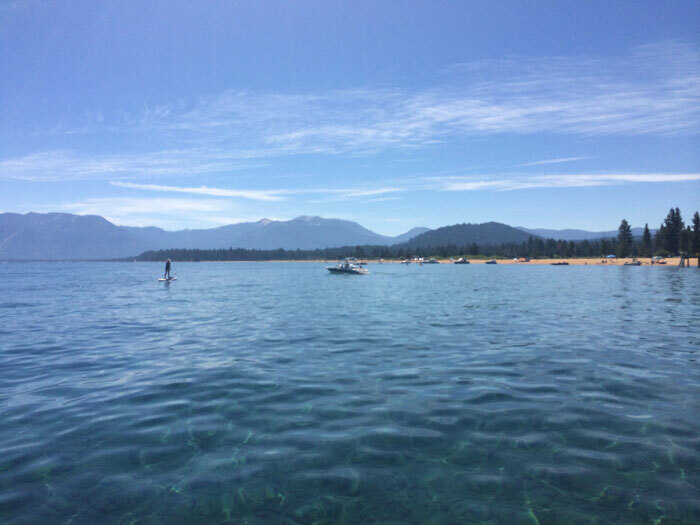 Make a right out of the beach and paddle past the west shore communities of Tahoe Tavern. There’s typically a nice paddling corridor between the boats and shore. Round the point, pass Sunnyside Marina, and continue on along Hurricane Bay and the west shore, past Fleur du Lac (from the Godfather movies) into McKinney Bay. Continue past the Homewood Marina until Chambers Landing. Sugar Pine Point. Photo: Laura Norman. Chambers Landing is one of the best launch spots on the west shore. Although it looks like a private beach, there’s a public section and plenty of parking during the week. Make a right out of Chambers Landing and within a mile you’ll see the wild shoreline of Sugar Pine Point. Pass the Sugar Pine beach and pier, where it can be choppy from boat traffic if you don’t get an early start. Round the corner into Meeks Bay’s beautiful turquoise water. Pass the marina and State Park, and round another point into Rubicon Bay, for an even longer stretch of beautiful blue water. Finish at the far end of Rubicon Bay, at Lester Beach. D.L. Bliss State Park. Photo: Laura Norman. The parking at D.L. Bliss fills quickly even on weekdays, so make an early start to paddle here. 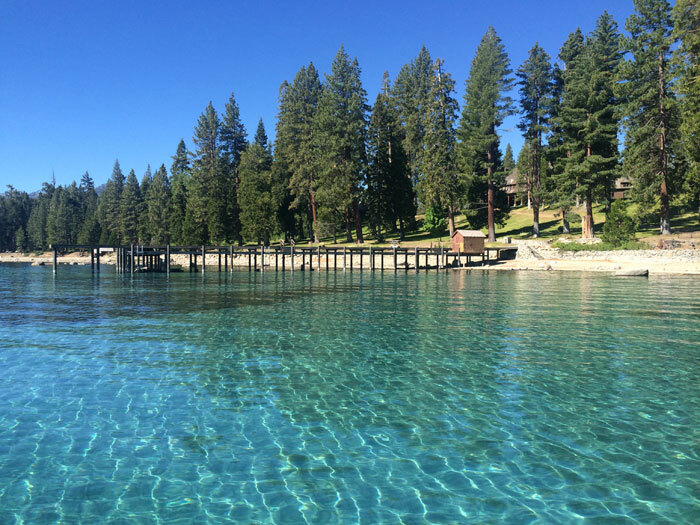 You’ll cross the entrance to Emerald Bay, the lake’s most popular boating spot, so be sure to go on a weekday to minimize traffic. The water along the shoreline at D.L. 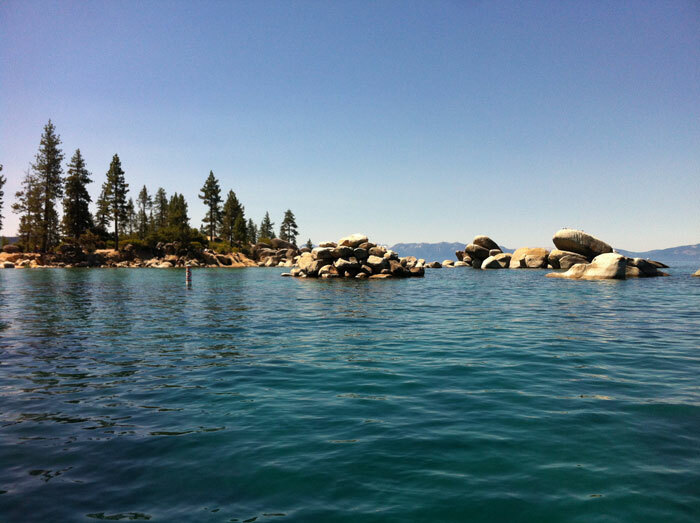 Bliss is some of the deepest in the lake, and you’ll pass dramatic cliffs before the shallow entrance to Emerald Bay. Take a four mile spin around the bay if you have time, and check out Fannette Island, the only island in the entire lake. 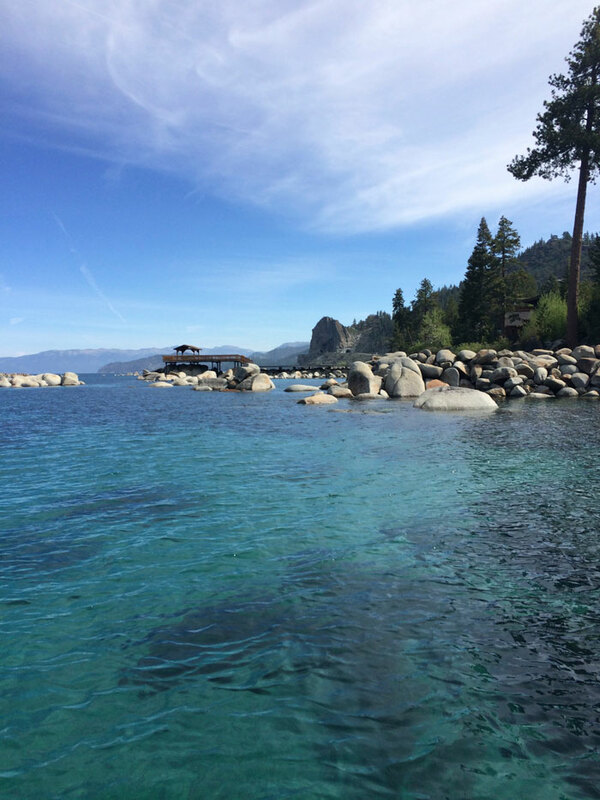 After passing Emerald Bay you can make your way along a quiet section of shoreline until you get to Baldwin Beach. Baldwin Beach. Photo: Laura Norman. You’ll find plenty of parking at Baldwin Beach, and it’s an easy place to launch from. Head west from the beach and pass the undeveloped stretches of Kiva Beach, Tallac Shoreline, and Pope Beach, interrupted by the development at Camp Richardson. Pass the canals at Tahoe Keys (watch for boat traffic) and the Upper Truckee Marsh. 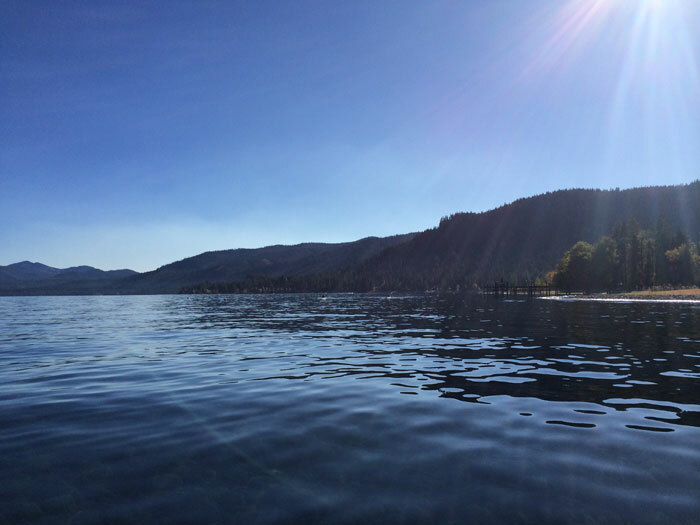 A popular spot for jet skiing and parasailing, you’ll pass more development at this point including lodging, casinos and the dock for the Tahoe Queen. 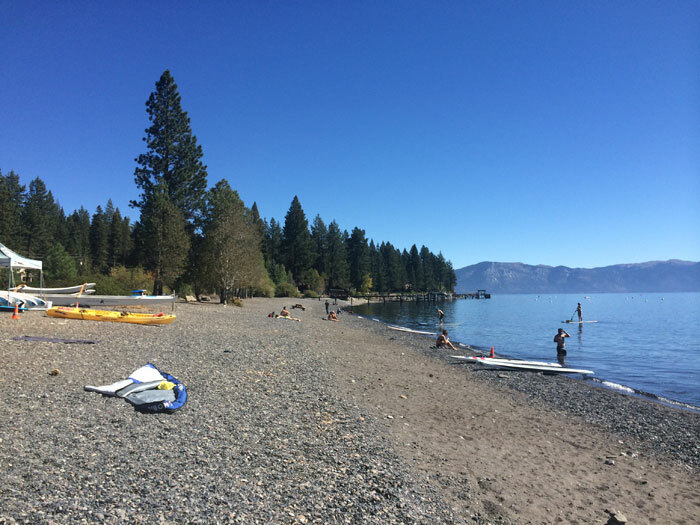 You’ll finish your paddle by a golf course and the long, sandy stretch of Nevada Beach. For this entire paddle the water is fairly shallow and usually a gorgeous color blue. Cave Rock. Photo: Laura Norman. 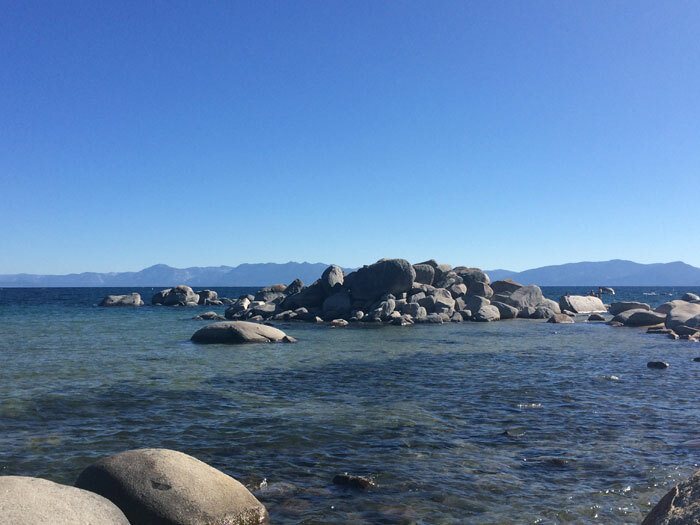 Nevada Beach can be very crowded on a summer weekend, so be sure to start early. It’s a gorgeous deserty beach, and you can launch anywhere along it. After you round the rocky point at the north end, you’ll pass the long bay of Round Hill Pines and then another long flat point before Zephyr Cove (which can also be busy on weekends). After Zephyr Cove, it’s mostly private homes and some beautiful rocks as you make your way up to Cave Rock. There’s a little beach on the south end where you can pull ashore. Secret Harbor. Photo: Laura Norman. 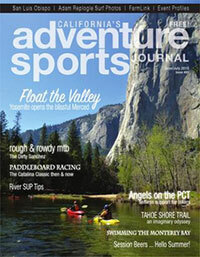 The longest segment finds you in the most undeveloped, scenic, and tranquil place to paddle. Start at the beach at the end of the Cave Rock marina. Arrive early to avoid boat traffic and find ample parking. For the first 3.5 miles, you’ll pass intermittent homes and the rocks of Logan Shoals. After the bay and long beach of Glenbrook, the next five miles will be wild with no road access. Round Deadman Point and then the beach of Skunk Harbor (at this point you’re at least a mile from the road), then continue on to the dramatic rocks and turquoise waters of Whale Beach, Secret Harbor, Secret Beach, and Chimney Beach. Nevada beaches are dog friendly, so you may see people out with their pooches. Also, Secret Beach is “clothing optional” so you may see scenery of another kind. After Chimney Beach you’ll pass another rocky point, and Thunderbird Lodge, then it’s just one mile to the finish at the southern end of Sand Harbor. Making a splash on the Lake Tahoe Water Trail along the West Shore. Photo: Corey Rich / Aurora Photos. Skunk Harbor. Photo: Laura Norman. Paddling with pooch. Photo: Laura Norman. 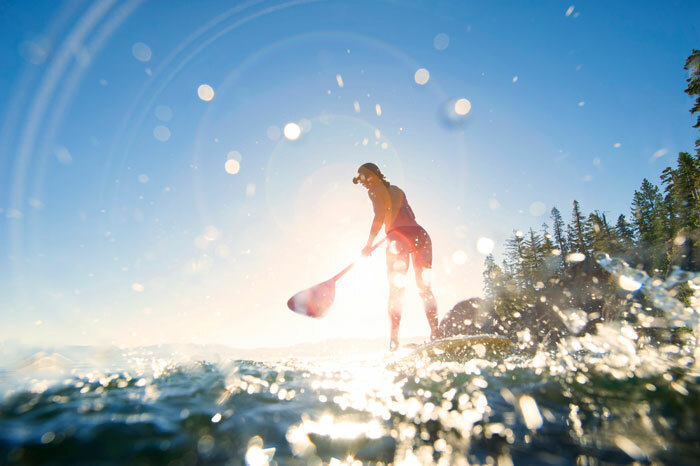 Laura Norman spends summers on Lake Tahoe’s west shore and has paddled every inch of the lake’s shoreline. 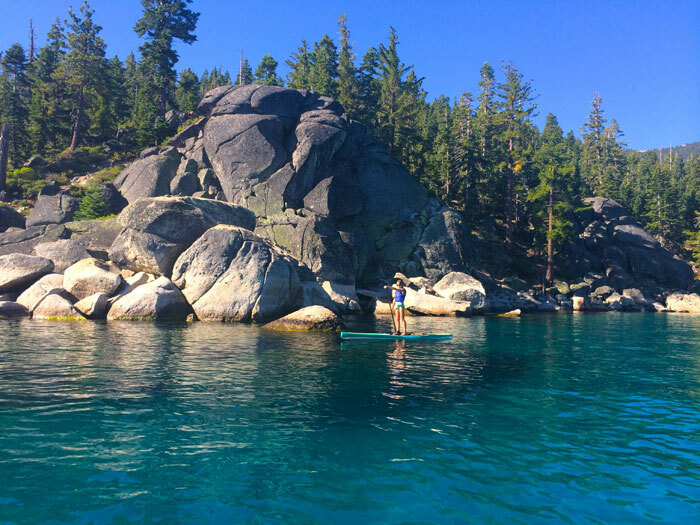 She’s the author of Paddleboard Guide to Lake Tahoe, available at local retailers, Amazon.com, and in the Keep Tahoe Blue online store. 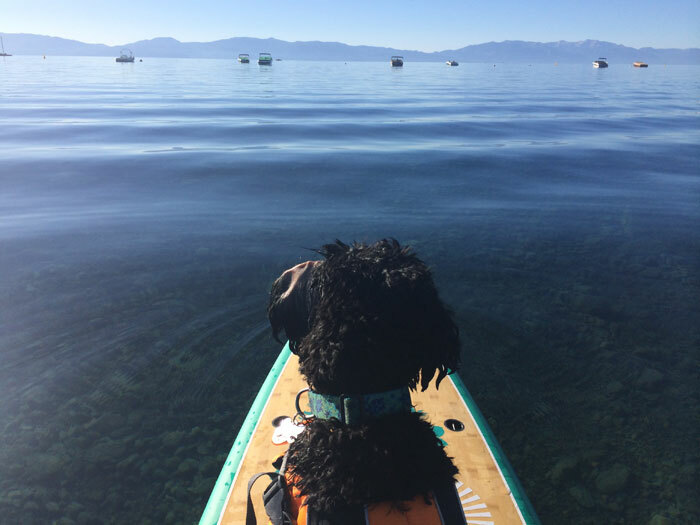 Follow her on Instagram at Tahoe_sup. Can’t get enough of the lake? 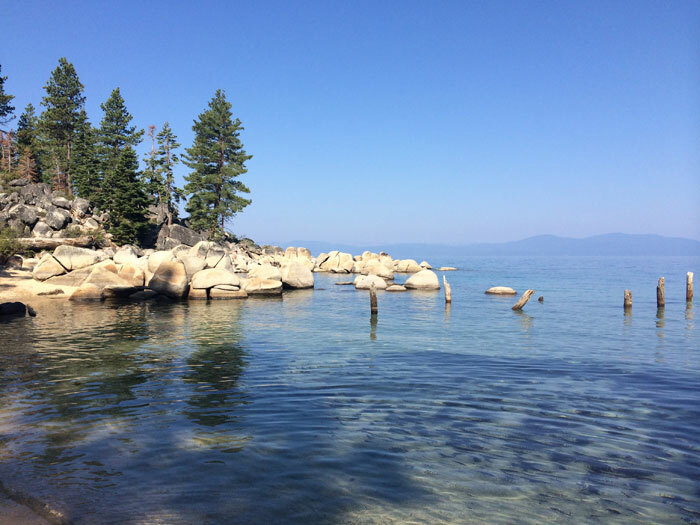 Visit our Aug/Sept Ear to the Ground section to learn about the Lake Tahoe Water Trail and more details about paddling Tahoe. 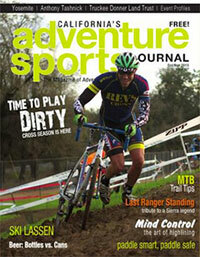 http://laketahoewatertrail.org/ and we are on Facebook too. Have fun, and check your gear for Aquatic Invasive Species before you get on the lake – or any water way.